NEW YORK CITY, NY: Jared Leto was spotted wearing the LA's Glitter Kids T-Shirt by Enfants Riches Déprimés while leaving his hotel on August 2, 2016 in New York City. WHAT: Was spotted wearing the LA's Glitter Kids T-Shirt by Enfants Riches Déprimés, $420.00. 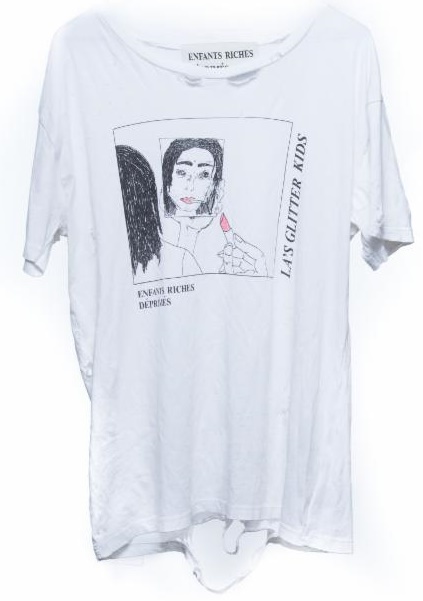 Here is a closer look at the LA's Glitter Kids T-Shirt by Enfants Riches Déprimés. To shop this look visit: www.enfantsrichesdeprimes.com.